'Biondina' (Loïc Tasquier, R. 2018). Seedling F024B. MDB, 19 cm, early midseason bloom. 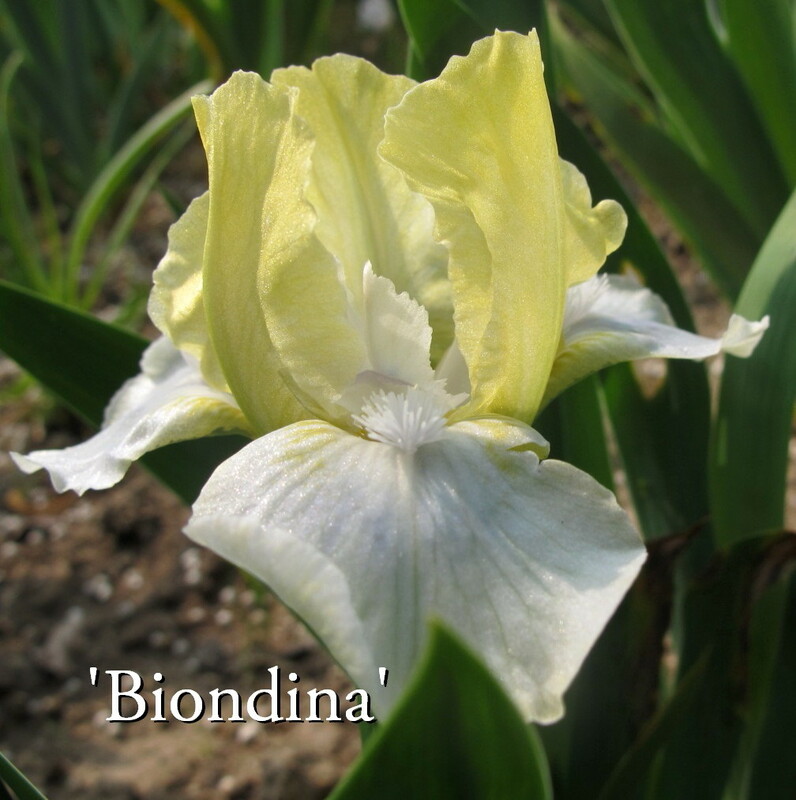 Standards yellow, chartreuse midrim; style arms white, light mauve stigma; falls white, veined chartreuse on haft, bisect icy blue spot under bear and pale chartreuse yellow flush at distal end, at opening; beards white, tipped gold in throat. 'Impulsive Imp' X C105A: ('Forever Blue' x 'Punk'). Les iris de Loïc Tasquier 2018.